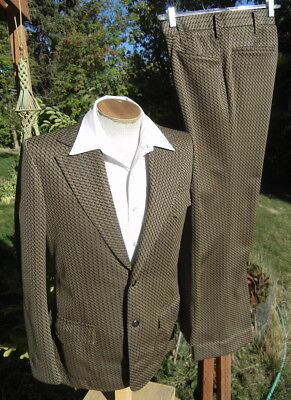 MEDIUM , ORIGNAL VINTAGE 1970s, MENS FAWN CHECK SUIT. 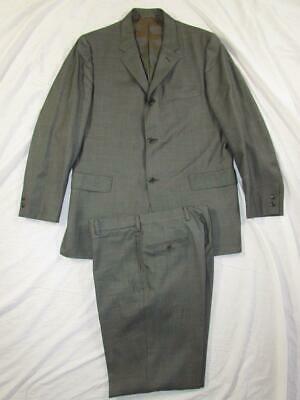 MEDIUM ORIGINAL VINTAGE 1960s MENS SUIT, & TIE. 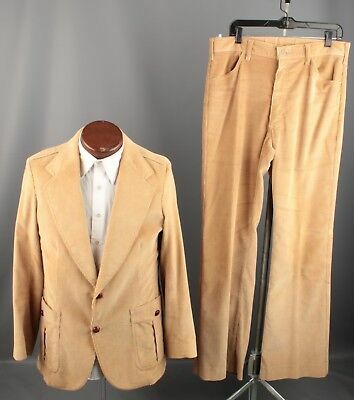 MEDIUM LONG, ORIGNAL VINTAGE 1970s, MENS BEIGE 3 PIECE SUIT. 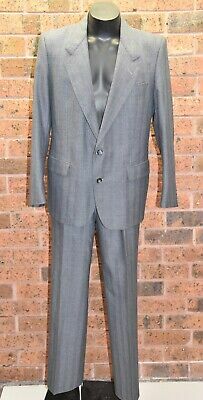 LARGE 44" / 112CM REG ORIGINAL VINTAGE 1970s MENS 3 PIECE SUIT, SHIRT & TIE. 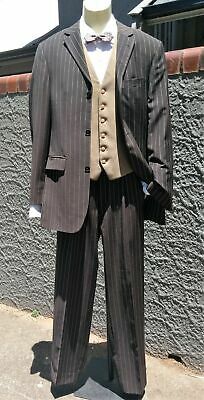 Small, Original Vintage Mens 3 Piece Suit, Shirt & Tie. 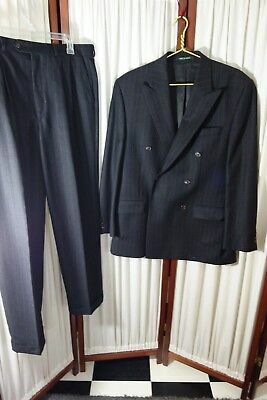 LARGE ORIGINAL VINTAGE 1960s MENS SINGLE BREASTED SUIT & TIE. 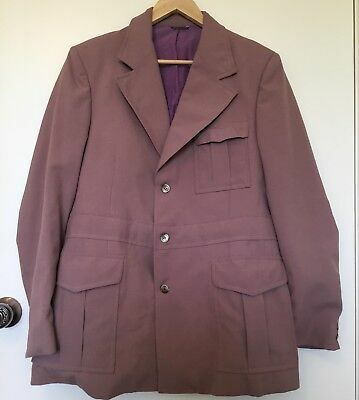 X LARGE, ORIGNAL VINTAGE 1970s, MENS BROWN SUIT, WITH LILAC SHIRT & TIE. 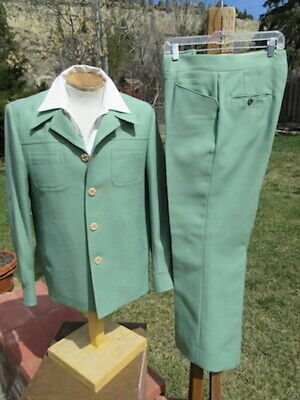 Large, Original Vintage Mens Green Safri Suit. 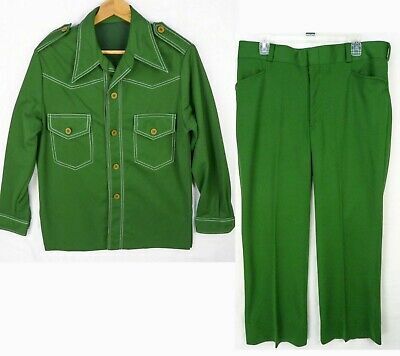 1970's Disco suit by Glenford of Sydney. 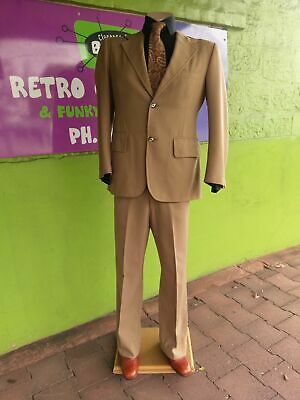 Size M.
SMALL 36 REG .ORIGINAL VINTAGE 1970s MENS BROWN 3 PIECE SUIT WITH TIE..UNISEX. 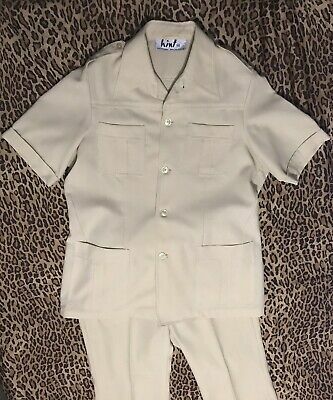 MEDIUM, ORIGINAL VINTAGE 1950s / 60s MENS SINGLE BREASTED DINNER SUIT. 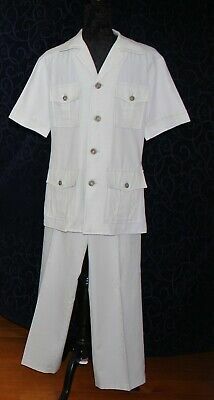 LARGE, ORIGINAL VIntage 60/70 MENS DINNER SUIT, EMBROIDED SHIRT, TIE &CUFFLINKS. 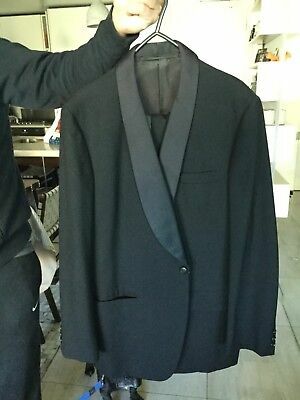 LARGE, BLACK, ORIGINAL VINTAGE 1980s MENS SUIT & SILK TIE. 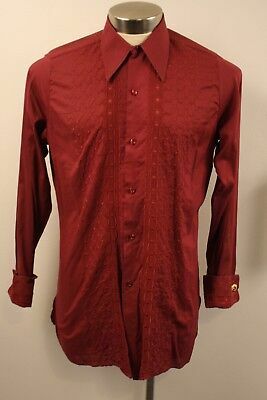 X LARGE, ORIGINAL VINTAGE 1970s MENS SUIT, SHIRT, TIE & CUFFLINKS. 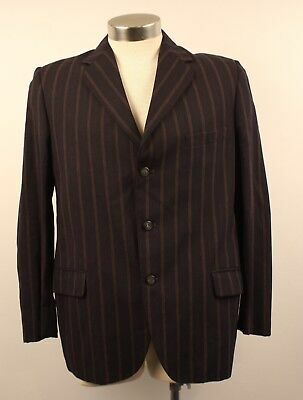 MEDIUM ORIGINAL VINTAGE 1960s MENS SUIT, SHIRT & TIE. 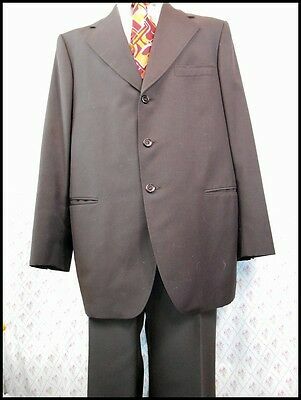 SMALL 38 REG.ORIGINAL VINTAGE 1970s MENS SUIT & TIE .UNISEX. 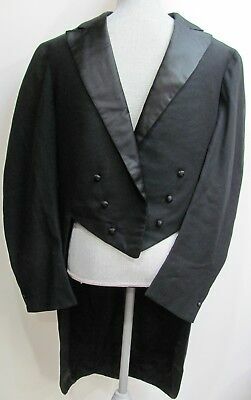 LARGE, ORIGINAL VINTAGE 1970s MENS DINNER SUIT,WITH SHIRT, BOW TIE $ CUFFLINKS. 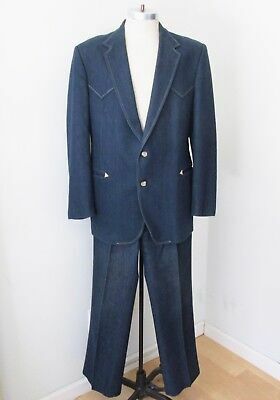 MEDIUM / LARGE, 42 R, ORIGINAL VINTAGE MENS NAVY BLUE1970s SUIT. 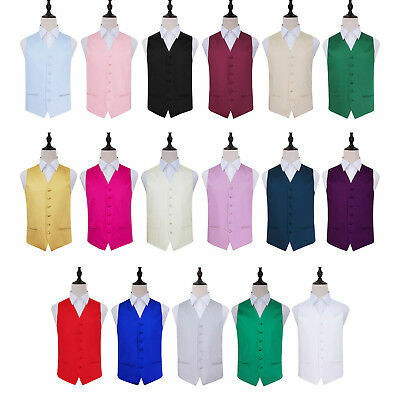 Medium, Original Vintage Mens Suit & Tie. 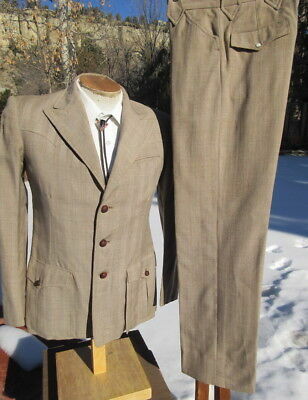 LARGE ORIGINAL VINTAGE 1970s MENS SUIT, SHIRT, & TIE. 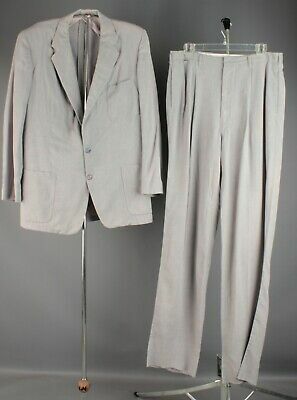 MEDIUM, ORIGINAL VINTAGE 1970s MENS SUIT & TIE . 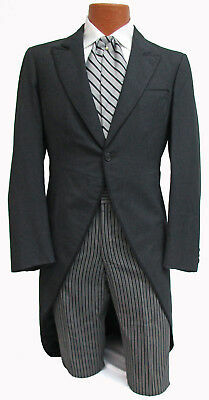 "AMERICANA ROYAL"
SMALL, BLACK ORIGINAL VINTAGE 1970s MENS SUIT, NEW SHIRT & TIE. SMALL 36 SHORT..ORIGINAL VINTAGE 1970s MENS & TIE .UNISEX. 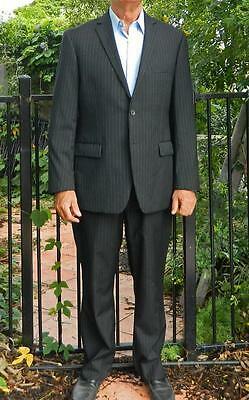 MEDIUM, ORIGINAL VINTAGE 1970s MENS SUIT, SHIRT & TIE . 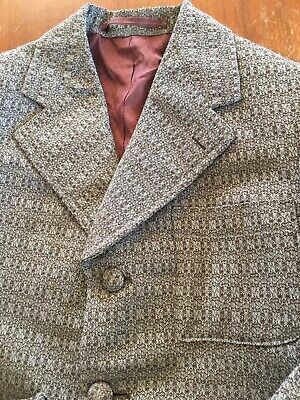 MEDIUM, HEAVY WOOL ORIGINAL VINTAGE 1970s MENS SUIT, SHIRT & TIE . 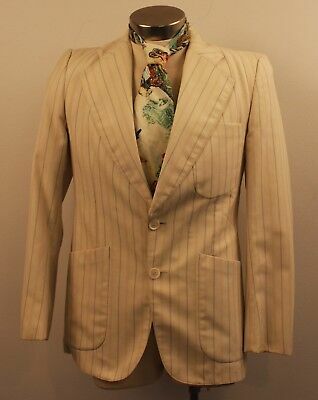 MEDIUM, ORIGINAL VINTAGE 1970s MENS SUIT, SHIRT, & TIE. 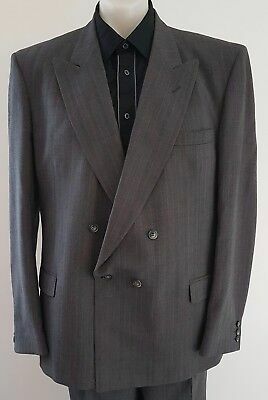 Medium / Large 39 R Original Vintage Mens Suit Kentish For John Martins. 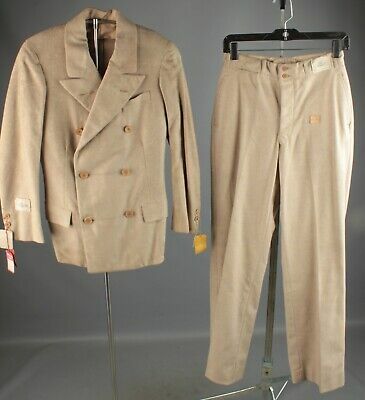 MEDIUM , ORIGINAL VINTAGE 1940s MENS WOOL TAILS, WITH VEST, BRACES & TIE . 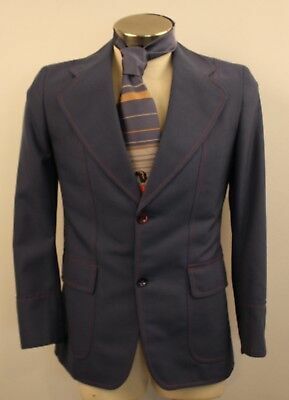 MEDIUM, ORIGINAL VINTAGE 1970s MENS SUIT, SHIRT & TIE MADE IN NEW ZEALAND. 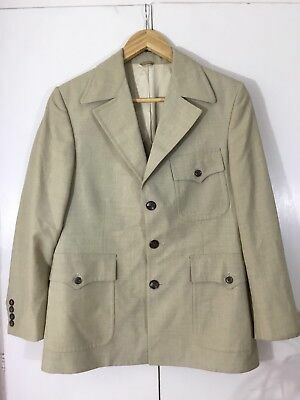 1970's wool suit by Kentish. 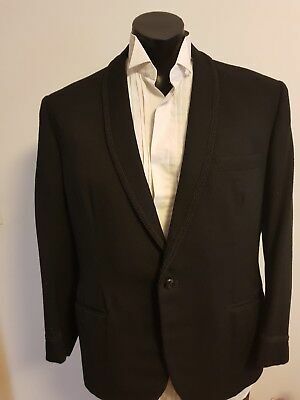 MEDIUM, ORIGINAL VINTAGE 1960s MENS SINGLE BREASTED SUIT & TIE. 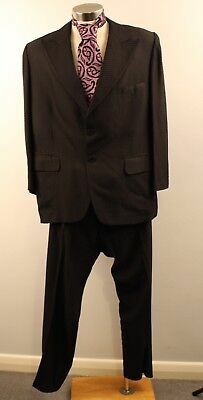 SMALL / MEDIUM, SIZE 16 ORIGINAL VINTAGE 1980s MENS SUIT. "GEORGIO CARINI". 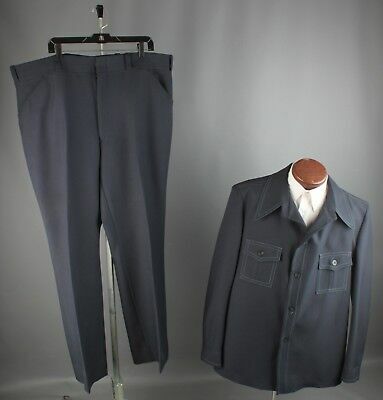 MEDIUM / LARGE ORIGINAL VINTAGE 1970s MENS SUIT, SHIRT, & TIE. SMALL, ORIGINAL VINTAGE 1940s MENS WOOL TAILS. 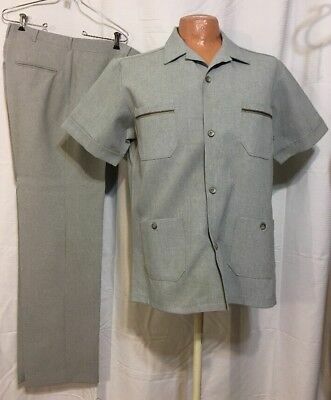 MEDIUM, ORIGINAL VINTAGE 1960s MENS DINNER SUIT.WITH SHIRT, TIE & CUFFLINKS. 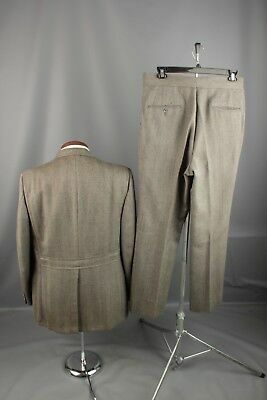 MEDIUM ,40 R ORIGINAL VINTAGE 1950s / 60s MENS SUIT. AS IS. MEDIUM / LARGE.ORIGINAL VINTAGE 1970s MENS & TIE . 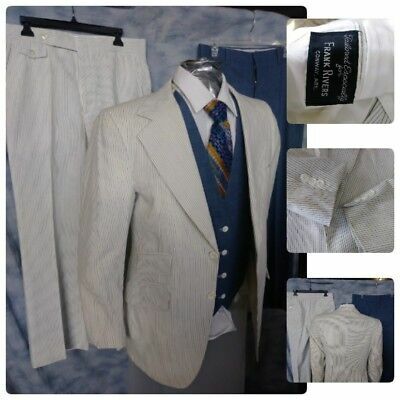 MEDIUM, ORIGINAL VINTAGE 1970s MENS SUIT, NEW SHIRT & TIE. 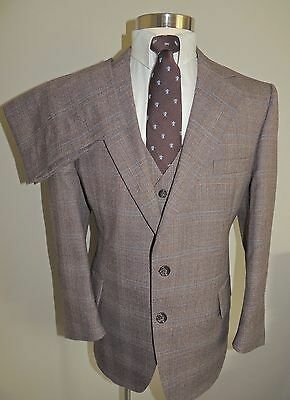 MEDIUM ORIGINAL VINTAGE 1970s MENS SUIT, "DAKS"
SMALL / MEDIUM BROWN ORIGINAL VINTAGE 1970s MENS 3 PIECE SUIT, SHIRT & TIE. 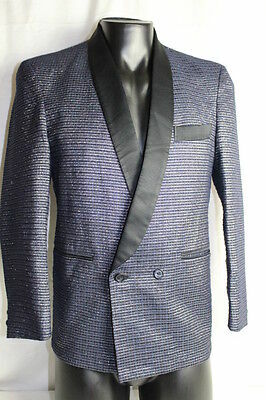 SMALL 36 REG .ORIGINAL VINTAGE 1960s MENS BLUE SUIT. UNISEX. 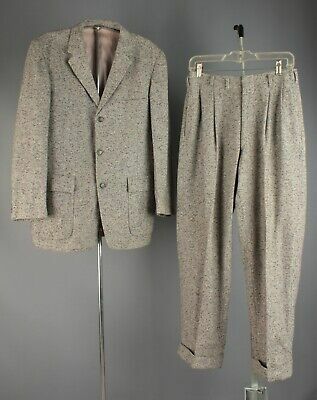 MEDIUM, ORIGINAL VINTAGE 1960s MENS SINGLE BREASTED DINNER SUIT, WITH BROCADE. 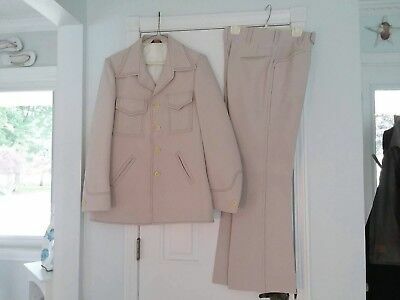 I970's Polyeter 2 piece flared suit. 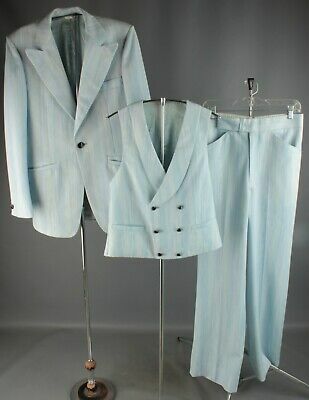 LARGE, ORIGINAL VINTAGE 1970s MENS DINNER SUIT,WITH SHIRT, BOW TIE & CUFFLINKS. 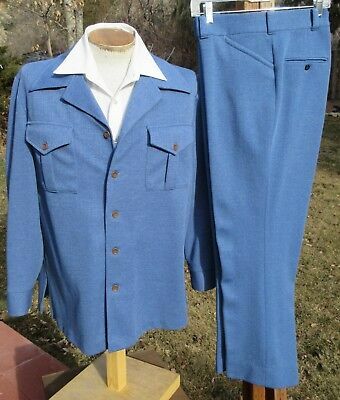 MENS, MEDIUM,38 R, ORIGINAL VINTAGE 1970s BLUE SUIT, WITH SHIRT , BELT & TIE. 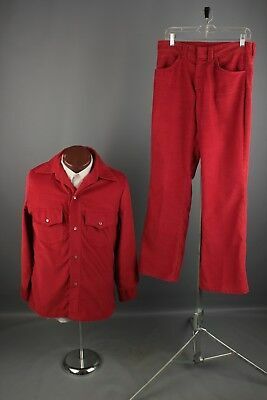 MEDIUM, ORIGINAL VINTAGE 1960s MENS DINNER SUIT,WITH SHIRT, BOW TIE . 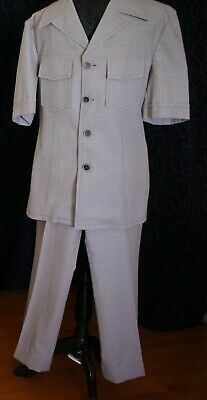 LARGE, ORIGINAL VINTAGE 1960s MENS DINNER SUIT.WITH EMBROIDERY TRIM.